Yonex’s latest Ezone tennis rackets are now on sale in our store! With a selection of the best new racquets for the AW17 season available here, be sure not to miss out! The full range includes the Yonex Ezone 98, Ezone 100 and Ezone 108, as well as variants of these models, plus other rackets such as the LITE, Feel and Rally. These precision designed rackets are made to bring the best out of you on the courts and there are options for different playing styles and abilities as well as budgets. Whether you already play with a Yonex racket or not there will be one (or more!) for you. With enhanced sweet spots and better comfort, the Ezone rackets help you unleash unstoppable power and play on the courts. Find out more about the features of these racquets and what they can do for your game below. 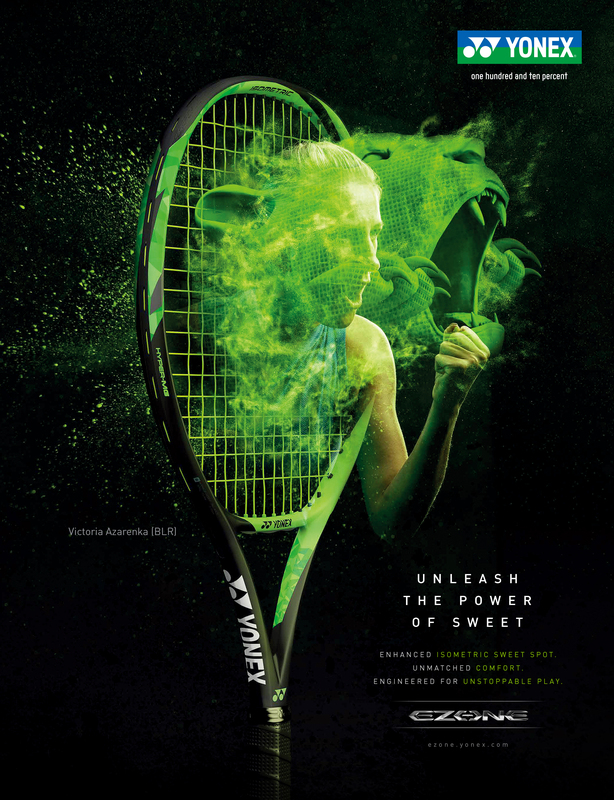 On this page you can watch Yonex’s video for their new Ezone rackets and find out more about them. There are also links to take you to our online store where you can buy your very own new racquet. Designed to give your game a big power boost, the Ezone rackets features Isometric technology. This makes for sweet spots that have been expanded across the racket heads. The sweet spot on these rackets now extends further upwards so there’s more power to be had on the court. This technology appears in the 98, 100 and 108 rackets, so whichever head size you prefer you can benefit from this boost in power. A number of other advanced technologies have been built into this series of rackets such as Micro Ofset Layout which works to straighten the string alightment to maximise power and descrease vibrations on ball contact. This is achieved through the more accurate design of the grommet holes, a small detail that can make a big difference to feel and performance. But don’t just take our word for it. Top players such as the Swiss Martina Hingis and former women’s world number 1 Victoria Azarenka endorse the Ezone rackets! So what are you waiting for? Click the button below to see the full range of Yonex Ezone tennis rackets and get yours in our store today!